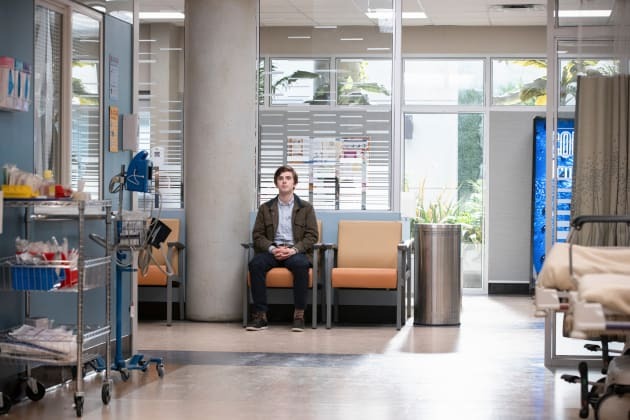 Shaun sits alone in this photo from The Good Doctor Season 2 finale. 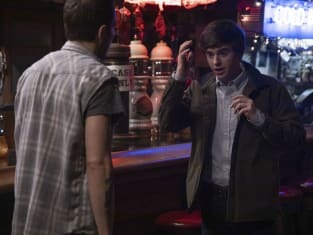 The Good Doctor Season 2 Episode 18: "Trampoline"
Claire: Shaun? Come in, tell us what you saw, what you did. Shaun: I can't. I'm not a doctor here. Claire: You're still a doctor, Shaun. We need to know what happened. Shaun: I... found him like that. Permalink: I... found him like that. Shaun: It might be an epidural hematoma. Lin: Let's get a bold ICP monitor ready. Neil: Dr. Lim, how was your meeting? Lim: I confirmed the lack of inducement or pressure. I assume you did likewise?